The first production Rolls-Royce Dawn that’s earmarked for the US market won’t be going to any of the company’s dealerships in the country. Instead, it will head to the Naples Winter Wine Festival in January 2016, where it will be auctioned off to the highest bidder. Proceeds from the said auction will go directly to the Naples Children & Education Foundation. The Dawn first broke into the luxury market scene at the 2015 Frankfurt Motor Show in September. Since then, the Wraith’s cabriolet alter-ego has made a lot of waves, thanks in part to its uncompromising attitude towards premium luxury. 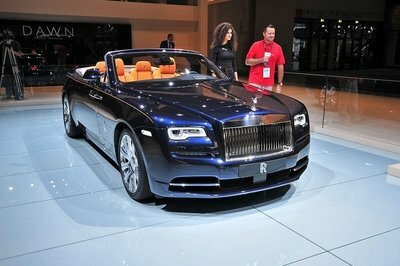 For its part, Rolls-Royce is making sure that whoever wins the auction will receive an authentic one-off. This particular Dawn features an exclusive Arctic White paint finish with a matching, Deep Red soft top roof and a red coachline running the length of the car’s sides. Inside, Rolls-Royce used the same Arctic White shade and combined it with a Consort Red contrast on the leather. The Dawn’s front fascia, doors and wrapping onto the back deck all received Santos Palisander Canadel Paneling, which Rolls describes as a “handcrafted finish of open pore Indian Rosewood” to further elevate the model’s one-off and first-production status. 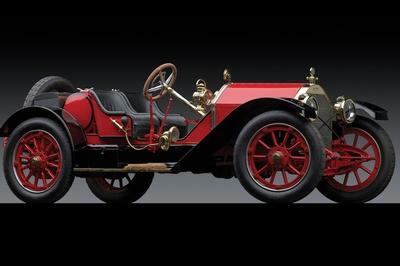 All in all, this particular Rolls Royce Dawn is valued at more than $400,000. The starting bid is set at $335,000, although given its status as the first-production Dawn to hit the US, there’s a good chance it will push past $500,000 without even breaking a sweat. It’s one thing to win a first-production Ford Mustang or a similar Chevrolet Camaro, it’s another thing entirely for that first-production model to be a Rolls-Royce Dawn. That’s the equivalent to having one of the most sought-after luxury cars in your garage and for it to have the distinction of being the first one built for the entire region. In addition to all the fancy appointments on this model, Rolls-Royce will also include one-of-a-kind Bespoke Treadplates on the car to commemorate its status. That’s going above even my own expectations, but Rolls-Royce is the type of company that goes out of its way to give its customers the kind of exclusivity that very few brands in the market can even come close to replicating. 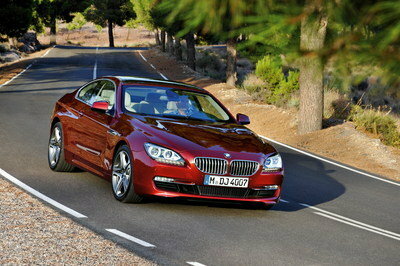 Rolls-Royce has said that whoever wins the auction should expect the delivery of the car sometime in April 2016. That’s a fair enough time to wait considering that past auction pieces have usually take that much time to arrive as well. I just hope that it sells higher than expected. All the proceeds will go to a worthy cause so it’s a win-win-win situation for everybody. The winning bidder will have a one-off RR Dawn. The Naples Children & Education Foundation will receive the proceeds from the auction. And, just as important as the eventual winner and the foundation, Rolls-Royce will generate a lot of goodwill from this sale. That’s the kind of goodwill and positive karma that no amount of money can buy. Read more about the Rolls Royce Dawn here. Bidders at the 2016 Naples Winter Wine Festival will have a truly exclusive opportunity to become the first North American customer to receive the sexiest Rolls-Royce ever built. The all-new Rolls-Royce Dawn marks a new horizon in the Rolls-Royce Motor Cars’ lineup of pinnacle motor cars, and the brand has offered the very first delivery in North America to benefit Naples’ charities. This Dawn will be offered at the Naples Winter Wine Festival to be held from January 29-31 2016 at The Ritz-Carlton Golf Resort in Naples, Florida with proceeds benefiting the Festival’s founding organization, the Naples Children & Education Foundation. 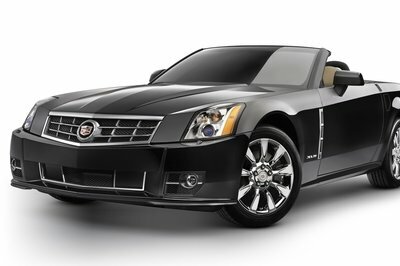 A true four-seater, Dawn is the most social of super-luxury drophead motor cars. Its effortless elegance and luxurious, yet approachable demeanor fits seamlessly into the backdrop of the 16th annual Naples Winter Wine Festival. "I couldn’t think of a more fitting way to celebrate the first new Rolls-Royce Dawn for North America than through this auction," said Rolls-Royce Motor Cars CEO Torsten Müller-Ӧtvӧs. "Dawn is the sexiest and most social Rolls-Royce we’ve ever designed and the NWWF epitomizes the social life of our owners. We are proud to make the introduction at this event and help benefit children in need." This particular motor car is guaranteed to be the first delivery in North America, and will be built in February 2016 at Goodwood, the Home of Rolls-Royce in the South of England. 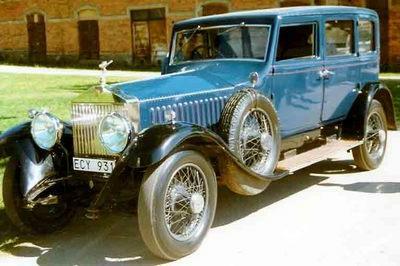 Upon departure from of the home of Rolls-Royce, the car will be flown to location. The ’first’ Rolls-Royce Dawn is scheduled for delivery in April 2016. This exquisite motor car – commissioned specifically for this moment – boasts a stunning Arctic White exterior finish with a Deep Red roof, offset by an Arctic White and contrasting Consort Red interior appointed in the finest quality leather in the world. The vehicle also dons full Santos Palisander Canadel Paneling – a handcrafted finish of open pore Indian Rosewood ­– covering the front fascia, doors and wrapping onto the back deck. This Dawn will be adorned with one-of-a-kind Bespoke Treadplates commemorating the premier delivery and the winning bid from the Naples Wine Auction. Starting at approximately $335,000, this uniquely Bespoke Dawn is valued at more than $400,000. 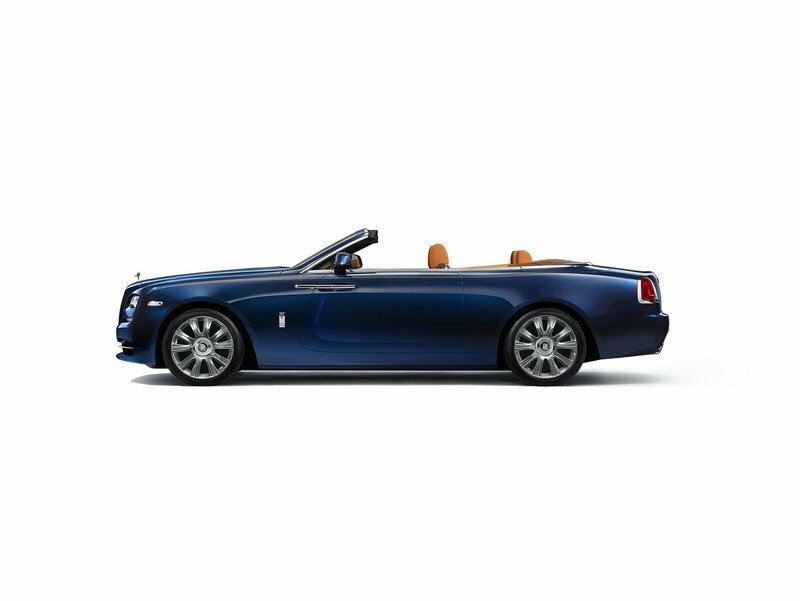 Like every Bespoke Rolls-Royce Motor car, this Dawn features the traditional hand-crafted wood and leather combined with the latest in modern materials, design and technology. This melding of tradition and technology is topped off with a color palate of 44,000 to offer each Rolls-Royce Motor Car a unique commission. More than eighty percent of Rolls-Royce owners Bespoke their commission with exclusive content. Dawn shares the heart and soul of any Rolls-Royce motor car with a twin-turbo 6.6-litre V12 powertrain with 563bhp and features groundbreaking technology including the world’s first Satellite Aided Transmission (SAT) launched on Wraith, Night Vision and Color Head-Up Display. The ’First Dawn’ proposes a true driving experience coupled with the satisfaction of having contributed handsomely to the benefit of children in Collier County.